Tell us in brief about your organisation, objectives and core competencies in the Nuclear energy sphere? Today, ROSATOM is the only nuclear company in the world that has expertise in all areas of nuclear energy use at all stages of the nuclear facility lifecycle. ROSATOM implements joint research projects, builds research reactors and nuclear power plant units, creating comprehensive nuclear industries across the world. We are ready to help train local nuclear power industry personnel, to assist in nuclear and radiation safety, to design the necessary legal and regulatory framework. What's the latest technology trend and innovation in the nuclear power generation space? Last year we have started up the world's first “Generation 3 +” reactor at Novovoronezh NPP. It’s enhanced economic and safety parameters contribute to making it the most powerful unit in the Russian nuclear power industry. The fourth power unit of the Beloyarsk NPP with the unique fast neutron BN-800 reactor is being put into commercial operation. This will allow testing future nuclear energy technologies. In November, POWER, the oldest energy magazine in the U.S. and one of the most influential and authoritative media outlets in the field, awarded its Power Awards 2016 to the Beloyarsk NPP fourth power unit in the best nuclear power plant nomination. Russia's achievements in the construction of NPPs and the development of other nuclear fields naturally translated into ROSATOM signing new international agreements. In 2016, agreements and memorandaon cooperation in peaceful use of nuclear energy were signed with Cuba,Tunisia, Paraguay, Zambia, Kenya, and Laos. A memorandum on expanded cooperation in respect of nuclear fuel cycle was signed with Kazakhstan.Strategic agreements were reached with China and Japan. In 2017 the company also has plans to sign a contract for the construction of an NPP in Egypt. Foreign partners are also interested in ROSATOM's research projects. Their first priority is the powerful MBIR multifunctional fast neutron research reactor, constructed in Ulyanovsk Oblast.It will facilitate carrying out tests and trials of new promising nuclear technologies. ROSATOM is creating an international research centre based on the MBIR, and invites its partners to join it.Constructing a multifunctional nuclear science and technology centres overseasis another highly sought area of ROSATOM's business. These facilities will help carry out projects for energy, medicine, industry, and agriculture. This year,an agreement and preliminary contracts were signed with Bolivia, and thegeneral contract is being prepared. A similar agreement was signed with Nigeria. ROSATOM is reportedly ready to build research reactors in Belarus,Algeria, Zambia, and Tanzania. What kind of enhanced safety mechanism have you devised and implemented in Kudankulam NPP so far? In Kudankulam nuclear power plant the post-Fukushima safety enhancement requirements have already been implemented and being operated successfully. We analyzed the basic technical design of Units 1 and 2in terms of the lessons from Fukushima. Active and passive safety system sensure an unprecedented level of safety with the ability to prevent anyanticipated operational occurrence. Among them are double localizing and protecting containment, passive heat removal system from reactor plant, core catcher, and closed industrial water intake for NPP. The NPP is also protected from natural and technological disasters, including earthquakes, tsunamis, tornadoes even plane crash. For example, passive heat removal system ensures cooling of the steam generator in automatic mode. Personnel participation is not required at this process. This system also does not require the energy supply. We pay a lot of attention to the environmental safety as well. For example, when sea water for NPP is collected,it goes through a special system called “bucket” ensuring fish and plankton return to their natural habitat. Could you provide us some actionable insight about why India should continue exploring Nuclear energy, when number of other clean options like Solar, Wind and Biomass are available? Nuclear and renewable cannot be opposed to each other. Quite the opposite, they are allies rather than rivals, and complement each other very well. Nuclear power plants provide base load and don`t depend of weather conditions, generating power 24/7. Renewable are strongly dependent on weather conditions. A good example is India. There are around 300 sunny days a year. In Moscow, for example, solar generation is not that efficient. The same is with wind power. There are areas where winds are strong and those where they are weak. Besides, the wind does not reliably blow24 hours a day, but power is always needed. We don't have to compare renewable energy and nuclear power. It is about optimum mix. Economies become burdened if they depend on one source of power. I think, the future of the power industry is an energy mix. One cannot say that the entire industry should be either nuclear or renewable. Regional specifics and climate are to be taken into account. Our common goal is to find the most efficient and cheapest energy solutions. How far the key performance indicators (KPIs) likely to change for nuclear project proponents once ROSATOM is on board? How does ROSATOM provide the best assurance in words and on the ground? Regarding the safety, light-water reactors,using normal water under pressure have been developed and constructed in Russia and are known as WWER type reactors. In such reactors, water serves both as an eutron moderator and as a reactor coolant. The WWER-type reactors are considered to be some of the safest reactors worldwide and form the basis of the Russian nuclear industry development program and export expansion. Nuclear power plants with WWER-type reactors, built in cooperation with Russian specialists in Finland,the Czech Republic, China, Hungary, Bulgaria, Slovakia and other countries, are safe and economically efficient. For example, in Slovakia and Ukraine, NPP swith WWER-type reactors provide almost 50% of the electricity generated in those countries. According to IAEA specialists, the Loviisa NPP in Finland is one of the most efficient and environmentally safe nuclear power plants in the world. For more than 50 years of operation,nuclear power plants with WWER-type reactors (WWER-440, WWER-1000) have proven safe, reliable and competitive on the international power market, ensuring sustainable development of the nuclear power industry, and highlighting the necessity of its further steady promotion. According to background radiation measurements, performed on a regular basis at the sites of operating NPPs with WWER-type reactors, the radiation level is always consistent with the natural background radiation level, which confirms the environmental safety of WWER facilities. The Metsamor NPP is another important example of the safety of WWER plants. A major earthquake hit the north of Armenia in December 1988, resulting in massive collapse and the death of 25,000people. The epicenter was 83 kilometres away from the Armenian NPP operating with two VVER-440 units. An examination showed that no damage or deviation was detected at the plant. Today, the Metsamor NPP in Armenia is a facility that is capable of withstanding up to a magnitude 9 earthquake, yet the safety level of its back-up units is much higher. Another important issue is an economic efficiency of nuclear power. The solutions incorporated into NPP projects,their long-term accident-free operation experience, design development, and nuclear fuel and thermo-physics research have allowed a decision to be made concerning the possibility of operating power generation units at capacity of up to 104%. India requires low-cost sustainable base load electricity generation to address concerns of the future energy balance,keep higher capacities utilization rate, reduce use of freshwater resources and achieve targets in greenhouses gases emissions. Increasing share of large capacity nuclear power units with light water reactors may be one of the preferred solutions to provide energy given these circumstances. However, the proper track record of projects execution and proven design are key factors to choose a reliable partner for further developing light water reactor technology application in India. We offer referential technical solutions and necessary terms and conditions of financing to the Indian customer. 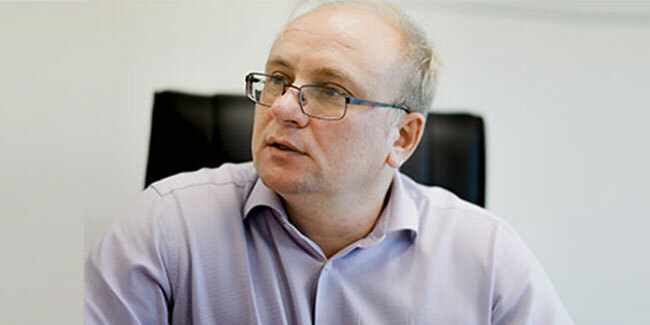 ROSATOM is ready for various formats of project implementation. Couldyou share with us actionable insights that assure safe, economical and timelycommissioning of nuclear plants by ROSATOM in India? In India ROSATOM constructed Kudankulam nuclear power plant (KKNPP). Unit 1 of the KKNPP was put into commercial operation in December 2014, and Unit 2, - in late March of this year. The nominal capacity of Units 1 and 2 is 1000 MW each. Unit 1 produced over 13million units of power by January, 26 of this year. It had been continuously in operation for 278 days and posted more than 1,000 crore profit. According to Minister of State in the Prime Minister`s Office Jitendra Singh The tariff on Kudankulam NPP power generation is one of the most competitive tariffs in India and the region. The cost of power generation from KKNPP is Rs 4.10 per unit. What's the current project pipeline and kind of future projects do you see for ROSATOM in India? Unit 1 of the Kudankulam NPP was put into commercial operation in December 2014, and Unit 2, - in late March of this year. Works are going on for Units 3 and 4. Recently in June we have signed a general framework agreement on the construction of the third stage of the Kudankulam nuclear power plant. It was necessary for starting the third-stage construction of the Kudankulam NPP. They specify the obligations of the parties and other important cooperation conditions. The Strategic Vision adopted in December2014 for strengthening cooperation in the peaceful use of atomic energy between Russia and India stipulates that at least 12 units of Russian design are to be commissioned in India within the next 20 years. As far as we know, the Indian government is actively searching for sites to build new power plants. Another area where I see the potential forthe cooperation between ROSATOM and India is hydro power. Ganz EEM (Hungary), a subsidiary of Atomenergomash, which is ROSATOM’s engineering division,manufactures small hydro power plants container installed – innovative and unique product in the market. ROSATOM offers a simple, fast and cost-efficient solution for connecting remote areas rich in hydro energy with no centralized power supply due to geographical, technical and financial reasons. The plant may be operated both as an independent power source and as an alternative to inefficient and environmentally unfriendly power sources. This solution requires no dam construction and makes no damages to river and other reservoir ecology. All the equipment including a turbine, mechanical and electrical parts and etc. are all installed in a container. Container solution makes it possible to considerably reduce the commissioning terms and construction and transportation costs. Main advantages of the small hydro power plant are the low electricity cost, short lead time,easy and fast assemblage. After transportation to the site and water connection power generation could be started within a month. Though space saving, the plant has all necessary systems required for its operation and control. Another advantage of the container-installed small hydro power plant is the possibility of remote control by means of a phone or Internet (including the mobile option). So, with the help of the monitoring system, the owner can follow the operation of the facility by means of a computer, tablet or even a mobile phone, and receive information on the amount of the generated electricity. Recently Ganz EEM has entered into an official contract for the supply of container-installed small hydro power plants to Georgia.